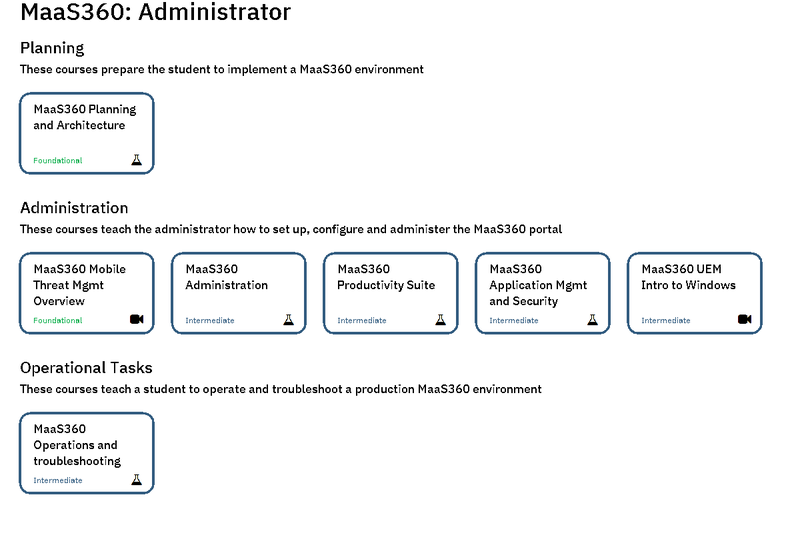 A MaaS360 Administrator is responsible for setting up the MaaS360 portal account and carrying out daily operations and troubleshooting for an enterprise. 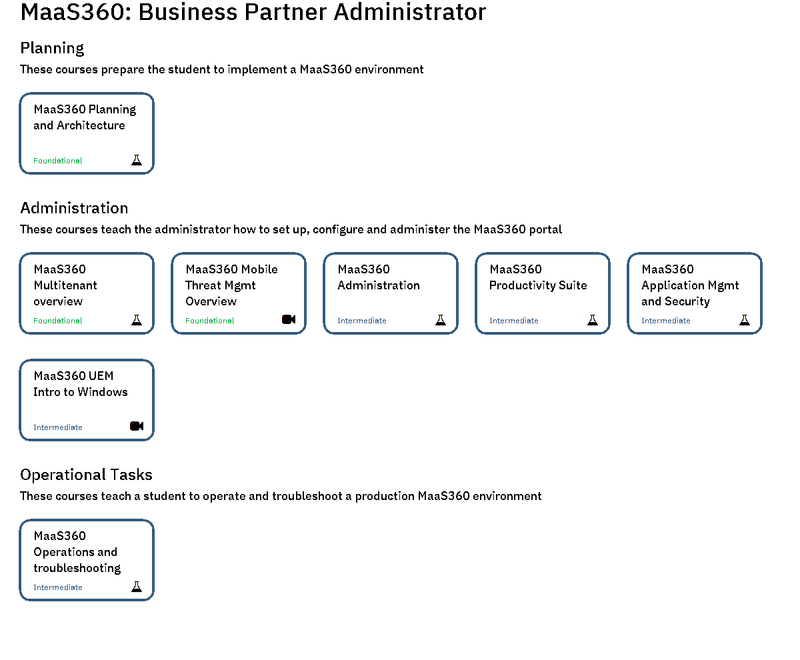 A MaaS360 Business Partner Administrator is responsible for setting up multiple customer accounts under their partner hierarchy account,fg and can provide Level 1 support for their accounts. 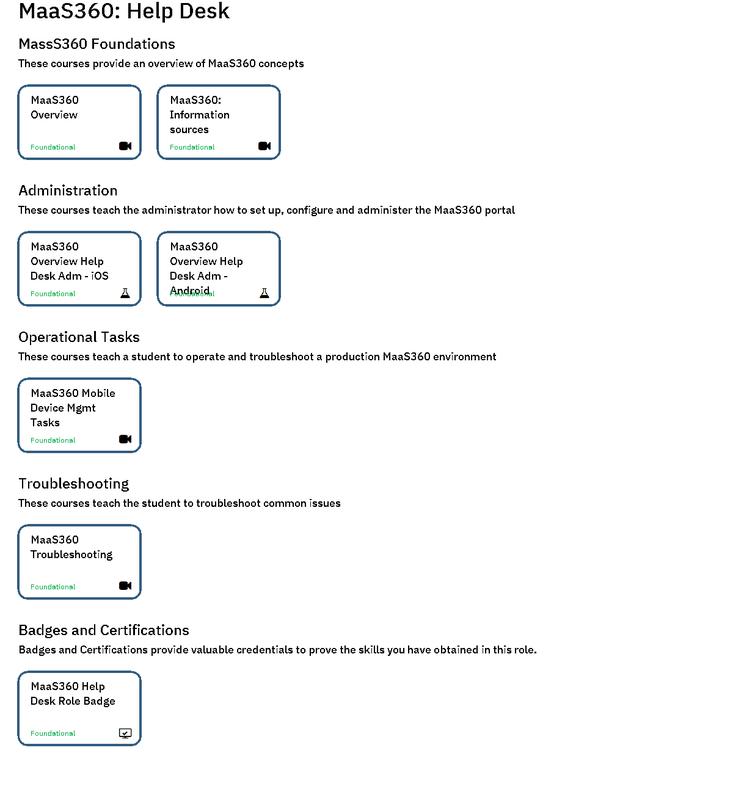 An IBM MaaS360 Deployment Professional is responsible for all aspects of planning, configuring, implementing, and troubleshooting a MaaS360 deployment. Help Desk personnel, provide Level 1 support to the mobile device users in an enterprise. Level 1 support can include resetting passwords, helping with enrollment issues, lost devices, configuration problems, and access issues. The IBM Business Partner Help Desk personnel, provide Level 1 support to multiple accounts. Level 1 support can include resetting passwords, helping with enrollment issues, lost devices, configuration problems, and access issues. 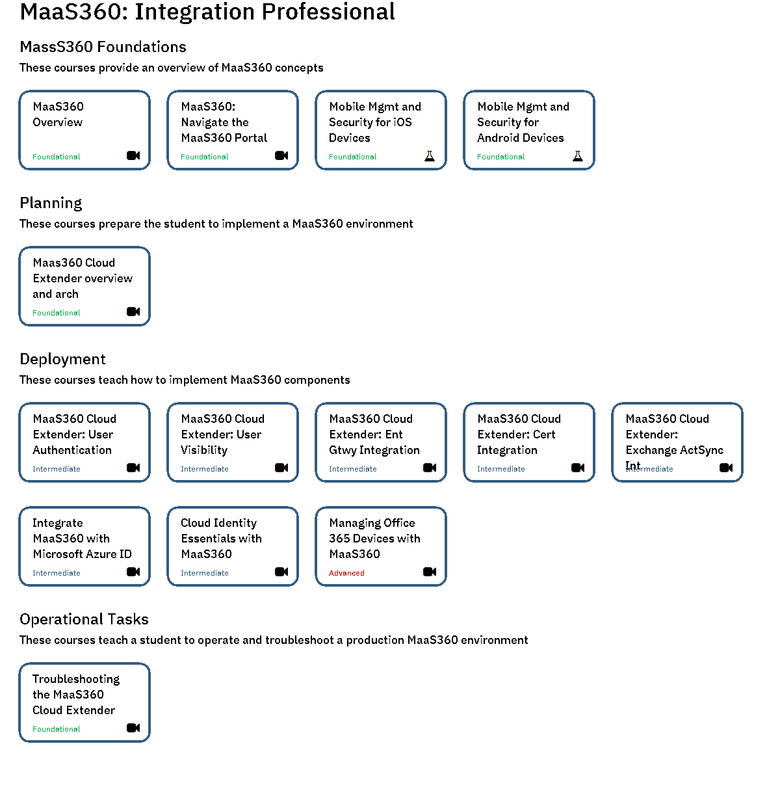 IBM MaaS360 Integration Professionals are responsible for configuring cloud to on-premise and cloud to cloud integrations for an enterprise. 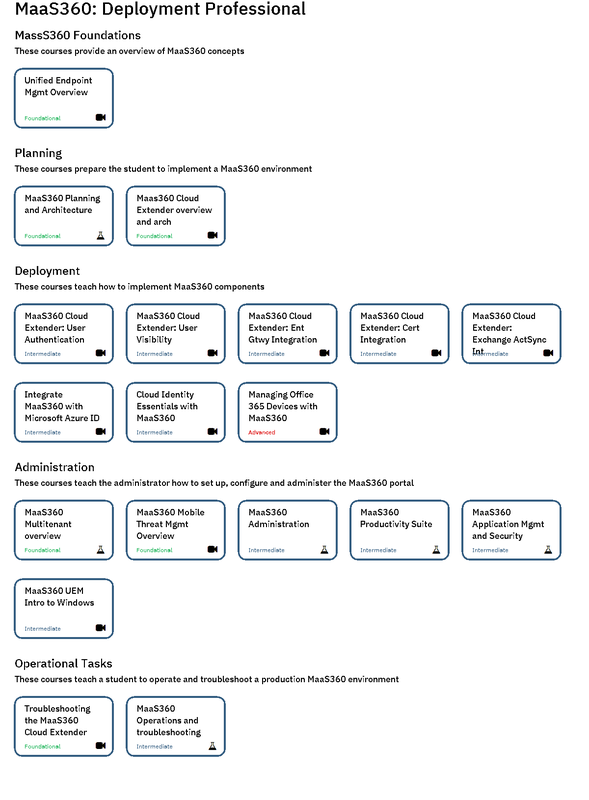 This role primarily works with enabling and configuring MaaS360 Cloud Extender modules to integrate with email servers, corporate intranet resources, directory services, and certificate authorities. This roadmap will help guide trial customers who are evaluating IBM MaaS360. 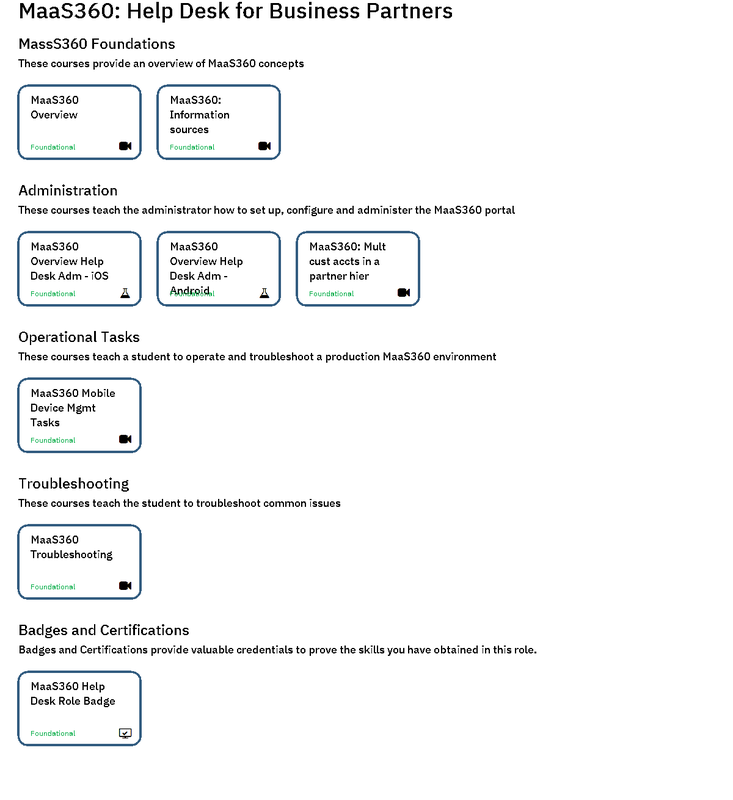 After you have converted your trial account to a production account, you can use the additional MaaS360 roadmaps to continue your training.